Life on Earth has survived great changes – there are many species alive today, some of which thrived in global temperatures much higher than now, so many stable levels of climate can support abundant life. But huge numbers of species went extinct from climate change. The Earth today is about 4–5°C warmer than in the last ice age, when Manhattan was under a mile of ice, so ‘small’ changes can matter greatly. Changes in climate, rather than actual levels within bounds, are what cause problems for life – adaptation is not instantaneous, as the ‘great extinctions’ emphasise. 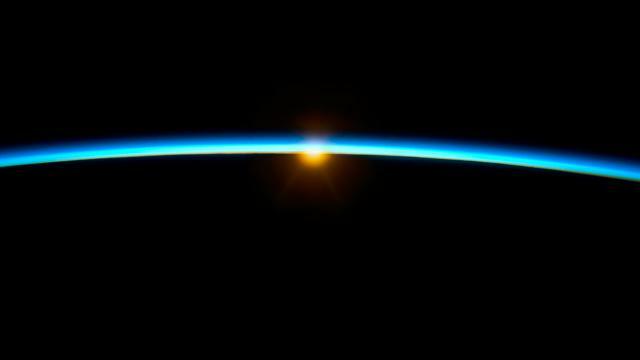 Many of the key ingredients of the climate picture are well understood, even though the Sun, Earth’s orbit and tilt, its atmosphere, land, and worldwide ocean ‘conveyor belt’ system are complicated interacting processes. Energy balance models describe the incoming, outgoing, and transfer of heat between the sun and various levels of the atmosphere, land, and ocean, based on known physical (conservation) laws. The four most important greenhouse gases are water vapour (H2O), carbon dioxide (CO2), nitrous oxide (N2O), and methane (CH4), of which the first two are fundamental to life. The science of the effects of greenhouse gases in the atmosphere was established well before climate change became an issue.2 The National Academy of Sciences (2008) provides a clear explanation of why the Earth would be a frozen ball without a dense atmosphere, and also provides an excellent picture of how greenhouse gases receive and radiate at different wavelengths between ultraviolet and infrared, as well as their recent relative importance. All four greenhouse gases are increasing at different rates from human activity, and have been since the origins of agriculture around 10,000–12,000 years ago, slowly at first and now much more rapidly.3 Such increases matter as they change the climate. The first mass extinction after the Cambrian occurred roughly 440 million years ago, probably due to global cooling (all dates are rounded here for simplicity). The second at about 375 million years ago followed the rapid spread of plant life on land, which reduced atmospheric CO2 by photosynthesis, so again led to cooling. The third and worst, at the Permian–Triassic (P/Tr) boundary about 250 million years ago, eliminated around 80–90% of ocean dwellers, and 70% of plants, animals, and insects (see Erwin 1996, 2006). Temperatures ended about 6°C higher than today, possibly from methane released in relatively shallow seas by magma flows creating the Siberian Traps (see Heydari et al. 2008 and Ward 2006). The fourth extinction about 200 million years ago opened the ecological niche for dinosaurs in the Jurassic, possibly by release of gas hydrates inducing global warming. The fifth, and best known, major extinction occurred at the Cretaceous–Tertiary (K/T) boundary, roughly 60 million years ago when most dinosaurs (other than avian descendants) went extinct. It is plausibly attributed to an extra-terrestrial impact inducing rapid climate changes, although the formation of the Deccan Traps in India may also have played a role, with temperatures about 4°C higher than today (see Prothero 2008). Mayhew et al. (2009) show that global biodiversity for both terrestrial and marine environments was related to sea-surface temperature, with biodiversity being relatively low during warm periods (also see Clarke 1993). All five mass extinctions are associated with climate change. A possible mechanism for warming extinctions being drastic is that the chemocline between oxygenated water above and anoxic water below rises with temperature (see, e.g., Riccardi et al. 2007). When the chemocline reaches the surface, archaea and anaerobic bacteria, such as green sulfur bacteria, proliferate and generate hydrogen sulfide (H2S), with toxicity comparable to hydrogen cyanide. There is carbon isotopic evidence for the chemocline’s upward excursion during the end-Permian extinction, with a large increase in phototrophic sulfur bacteria replacing algae and cyanobacteria, consistent with huge loss of ocean life. As with CO2, hydrogen sulfide is heavier than air, so has a tendency to accumulate on the surface. The recent behaviour of the Black Sea reveals how quickly the chemocline can rise and the anoxic layer reach the surface, although that was due to fertiliser run-off, not global warming per se, so was more easily corrected (see Mee 2006). What is the evidence for the accumulation of CO2 equivalents in the atmosphere? 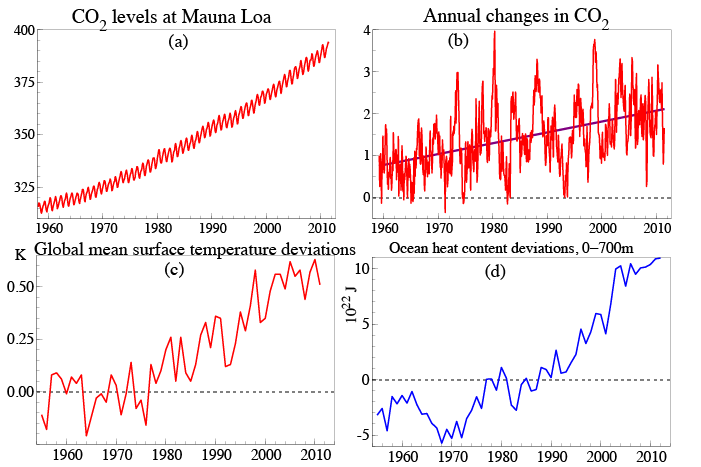 Records at Mauna Loa in Hawaii from 1958 on by Charles Keeling show an increasing trend in CO2, with large seasonal variations, as seen in Figure 2 (a) (in parts per million, ppm), where panel (b) records the upward trend in annual changes in CO2, (c) shows global mean surface temperature deviations, and (d) shows ocean heat content deviations for 0–700 meters. Sources: CO2 – US Weather Bureau and National Oceanic and Atmospheric Administration; temperature – Hansen et al. (2010); ocean heat content – Levitus et al. (2009). Atmospheric CO2 levels of 172–300 ppm found in deep ice cores for the past 800,000 years now exceed 400 ppm (see Scripps CO2 Program 2010). Atmospheric methane has also doubled over that time (see Loulergue et al. 2008), with large recent increases in nitrous oxide as noted above. The atmosphere is a crucial blanket for life, but it is a thin one, as Figure 3 highlights. Source: NASA/SPL photo from the International Space Station. Its composition can be changed by any steady accretion of gases (see, e.g., National Academy of Sciences 2008). As a consequence, worldwide temperatures are slowly rising on a high-variance stochastic trend, buffeted by many influences as Figure 2 (c) shows (see Met Office 2008 and Pretis and Allen 2013). The ocean heat content is also rising. Both trends are consistent with the increased melting of Arctic ice. While oceans absorb CO2 and can probably absorb more (as can forests), that has adverse effects for marine life (see Stone 2007) – acidification slows the growth of plankton and invertebrates, which are basic to the ocean food chain. Lower pH levels could prevent diatoms and coral reefs from forming their calcium carbonate shells. Moreover, while oceans absorb CO2 initially, some leaks back into the atmosphere – think sparkling water left unsealed. Since human activity is clearly responsible for the additional emissions, it is responsible for the ensuing temperature changes, accompanied by an increased rate of extinction (see WWF 2014). There is a vast literature of economic analyses relevant to many aspects of climate change (see Goulder and Pizer 2006 for an overview). A key aspect is that there are uncertainties about the long-run evolution of climate, its relation to great extinctions, and present evidence about how rapidly global temperature changes respond to greenhouse gases – there are many ‘unknown unknowns’ (see, e.g., Weitzman 2009 and Ceronsky et al. 2011). But if you are unsure whether a basket covered with a cloth really has a solid base, be concerned about putting all your eggs in it – there are potentially serious risks to many life forms on Earth, so the economics of climate-change abatement matters. (c) jump out now when you may survive at the present speed? The drop is the potential for mass extinction if mitigation is too delayed. As the conventional mathematics of intertemporal evaluations fails when distributions shift, the choice of a ‘discount rate’ is much less relevant than either organising technological or social rescues, or starting mitigation now. One way to stimulate the first is to create a worldwide fund for large prizes on achieving pre-defined goals – such as inexpensive carbon capture and sequestration, efficient non-carbon-producing energy systems, an organism that eats CO2 to produce a fuel, etc. Past examples of successful, and inexpensive, prizes solving major problems are: the longitude problem, which Harrison’s chronometer solved; the Rainhill trials for which Stephenson invented his Rocket; or more recently, the Darpa Grand Challenge prize for a robotic vehicle crossing the Mojave Desert in less than 10 hours, which took just two years for four to finish the 241km race in that time; and the Ansari X Prize of $10m for a spacecraft to make two sub-orbital human flights, which was achieved in under a decade. Humanity is not short of ideas, some of which may prove to be breakthrough technologies. Although patents also provide incentives for technological innovation on climate change, the ‘double externality’ stressed by Hall and Helmers (2010) (both environmental and knowledge externalities) make them less attractive, and it may prove difficult to protect intellectual property for major advances that resolve key forces driving climate change. Concerning the second, social rescue, there are many relevant past negotiations about emissions reductions, most of which raised strong objections at the time with false assertions of the ‘high costs of abatement’ – yet with no notable impact on any country’s GNP. ‘Clean Air Acts’ led to major reductions in air pollution, but were accompanied by loud protests about the high costs. The so-called ‘prisoner’s dilemma in international collective action’ only holds for small countries not harming their own climate, but for Clean Air, many large countries legislated independently. Similarly for acid rain reduction from restricting sulfur dioxide (SO2) emissions, although again separate country legislation faced serious opposition. Parry et al. (2014) highlight the potential domestic health and efficiency benefits of unilateral CO2 reductions. When supposedly inert chlorofluorocarbons (CFCs) transpired to be destroying the ozone layer by the release of chlorine from radiation, their elimination was agreed rapidly in the 1987 Montreal Protocol, helped by production being limited to a few players, and with a small ‘Multilateral Fund’ of $160 million to assist developing countries. The ozone layer already appears to be recovering slowly, but the replacements for CFCs, hydrochlorofluorocarbons, and hydrofluorocarbons seem to be powerful greenhouse gases, and Molina et al. (2009) propose building on the Montreal Protocol to mitigate that growing problem. In each case, there were losers in old industries but beneficiaries in new, and negotiators committed to mitigating climate change should highlight the advantages for early entrants of stimulating new industries. The second and third, starting mitigation now, mainly differ in their speeds of implementation. The theory of auctions (witness its huge impact on the UK’s 3G auction – see Binmore and Klemperer 2002), mechanism design, and taxation are all well developed, and despite their reputation as ‘weapons of financial mass destruction’, there is a potential role for modern finance theory in designing options and permits. McKibbin and Wilcoxen (2002), for example, propose a combination of tradable permits and taxes to reduce emissions. Careful analyses of any proposals are essential to ensure that incentives are correctly aligned and reasonably costed, do not induce ‘substitution’ to least regulated areas, and don’t undermine living standards of the poorest (see Klemperer 2009). These are demanding, but not infeasible, requirements. Another fast impact policy is by mandating ‘best-practice’ standards for energy efficiency in transport, buildings, and appliances, as well as in all modes of energy production and distribution, with required improvements over time (see, e.g., Harvey 2014). Nevertheless, cumulative emissions determine temperature, so policies that reduce emissions help, but are not a complete solution (see Allen et al. 2009). Allen, M R, D J Frame, C Huntingford, C D Jones, J A Lowe, M Meinshausen, and N Meinshausen (2009), “Warming caused by cumulative carbon emissions towards the trillionth tonne”, Nature 458: 1163–1166. Arrhenius, S A (1896), “On the influence of carbonic acid in the air upon the temperature of the ground”, London, Edinburgh, and Dublin Philosophical Magazine and Journal of Science (fifth series) 41: 237–275. Bellwood, P (2004), First Farmers: The Origins of Agricultural Societies, Oxford: Blackwell. Binmore, K and P Klemperer (2002), “The biggest auction ever: the sale of the British 3G telecom licenses”, Economic Journal 112: C74–C96. Ceronsky, M, D Anthoff, C Hepburn, and R S J Tol (2011), “Checking the price tag on catastrophe: The social cost of carbon under non-linear climate response”, ESRI Working Paper 392, Economic and Social Research Institute, Dublin. Chung, E-S, B Soden, B J Sohn, and L Shi (2014), “Upper-tropospheric moistening in response to anthropogenic warming”, Proceedings of the National Academy of Sciences 111(32): 11636–11641. Clarke, A (1993), “Temperature and extinction in the sea: A physiologist’s view”, Paleobiology 19: 499–518. Erwin, D H (1996), “The mother of mass extinctions”, Scientific American, 275(1): 72–78. Erwin, D H (2006), Extinction: How Life on Earth Nearly Ended 250 Million Years Ago, Princeton: Princeton University Press. Goulder, L H and W A Pizer (2006), “The economics of climate change”, Resources for the Future Discussion Paper 06-06. Hall, B H and C Helmers (2010), “The role of patent protection in (clean) technology transfer”, Santa Clara Computer and High Technology Law Journal 26: 487–532. Hansen, J, R Ruedy, M Sato, and K Lo (2010), “Global surface temperature change”, Review of Geophysics 48(4). Harvey, H (2014), “How to design the policies that can save the planet”, INET Seminar, Oxford Martin School, University of Oxford, 6 October. Hendry, D F (2011), “Climate change: Lessons for our future from the distant past”, in S Dietz, J Michie, and C Oughton (eds. ), The Political Economy of the Environment, London: Routledge: 19–43. Also available as University of Oxford Department of Economics Discussion Paper 485. Hendry, D F and G E Mizon (2014), “Unpredictability in economic analysis, econometric modeling and forecasting”, Journal of Econometrics 182: 186–195. Hendry, D F and F Pretis (2013), “Anthropogenic influences on atmospheric CO2”, in R Fouquet, R (ed. ), Handbook on Energy and Climate Change, Cheltenham: Edward Elgar: 287–326. Heydari, E, N Arzani, and J Hassanzadeh (2008), “Mantle plume: The invisible serial killer – Application to the Permian-Triassic boundary mass extinction”, Palaeogeography, Palaeoclimatology, Palaeoecology 264: 147–162. Hoffman, P F and D P Schrag (2000), “Snowball Earth”, Scientific American 282: 68–75. IPCC (2013), Climate Change 2013: The Physical Science Basis, Cambridge and New York: Cambridge University Press. Katz, R W (2010), “Statistics of extremes in climate change: an editorial essay”, Climatic Change 100: 71–76. Keeling, C D, T P Whorf, M Whalen and J van der Plicht (1995), “Interannual extremes in rate rise of atmospheric carbon dioxide since 1980”, Nature 375: 666–670. Klemperer, P (2009), “What is the top priority on climate change?”, in H-J Schellnhuber, M Molina, N Stern, V Huber, and S Kadner (eds. ), Global Sustainability – A Nobel Cause, Cambridge: Cambridge University Press: 231–240. Lenton, T M, H Held, E Kriegler, J W Hall, W Lucht, S Rahmstorf, and H J Schellnhuber (2008), “Tipping elements in the Earth’s climate system”, Proceedings of the National Academy of Sciences 105(6): 1786–1793. Levitus, S, J Antonov, T Boyer, R Locarnini, H Garcia, and A Mishonov (2009), “Global ocean heat content 1955–2008 in light of recently revealed instrumentation problems”, Geophysical Research Letters 36(7). Loulergue, L, A Schilt, R Spahni, V Masson-Delmotte, T Blunier, B Lemieux, J-M Barnola, D Raynaud, T F Stocker, and J Chappellaz (2008), “Orbital and millennial-scale features of atmospheric CH4 over the past 800,000 years”, Nature 453: 383–386. Mayhew, P J, G B Jenkins, and T G Benton (2009), “A long-term association between global temperature and biodiversity, origination and extinction in the fossil record”, Proceedings of the Royal Society, B 275(1630): 47–53. McKibbin, W J and P J Wilcoxen (2002), “The role of economics in climate change policy”, Journal of Economic Perspectives 16: 107–129. Mee, L (2006), “Reviving dead zones: How can we restore coastal seas ravaged by runaway plant and algae growth caused by human activities?”, Scientific American 295: 78–85. Met Office (2008), “Climate change – the big picture”, Discussion paper, Met Office, Exeter, UK. Molina, M, D Zaelke, K M Sarma, S O Andersen, V Ramanathan, and D Kaniaru (2009), “Reducing abrupt climate change risk using the Montreal Protocol and other regulatory actions to complement cuts in CO2 emissions”, Proceedings of the National Academy of Sciences 106(49): 20616–20621. National Academy of Sciences (2008), “Understanding and responding to climate change”, Report, US National Academy of Sciences. Parry, I, C Veung, and D Heine (2014), “How much carbon pricing is in countries’ own interests? The critical role of co-benefits”, IMF Working Paper 14/174. Pretis, F and M Allen (2013), “Climate science: Breaks in trends”, Nature Geoscience 6: 992–993. Prothero, D R (2008), “Do impacts really cause most mass extinctions?”, in J Seckbach and M Walsh (eds. ), From Fossils to Astrobiology, Netherlands: Springer: 409–423. Ravishankara, A R, J S Daniel, and R W Portmann (2009), “Nitrous oxide (N2O): The dominant ozone-depleting substance emitted in the 21st century”, Science 326: 123–125. Riccardi, A, L R Kump, M A Arthur, and S D’Hondt (2007), “Carbon isotopic evidence for chemocline upward excursion during the end-Permian event”, Palaeogeography, Palaeoclimatology, Palaeoecology 248: 263–291. 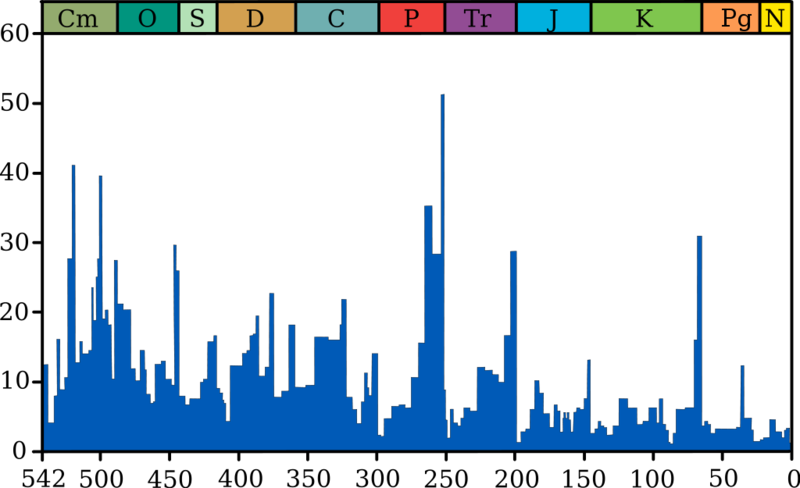 Rohde, R and R Muller (2005), “Cycles in fossil diversity”, Nature 434: 209–210 (supplementary material). Ruddiman, W (2005), Plows, Plagues and Petroleum: How Humans took Control of Climate, Princeton: Princeton University Press. Schneider, S H (2008), “The Stern Review debate: an editorial essay”, Climatic Change 89: 241–244. Scripps CO2 Program (2010), “The Keeling curve”, Scripps Institution of Oceanography, La Jolla, CA. Sepkoski, J J (2002), “A Compendium of Fossil Marine Animal Genera”, in D Jablonski and M Foote (eds. ), Bulletins of American Paleontology 363. Stern, N (2006), The Economics of Climate Change: The Stern Review, Cambridge: Cambridge University Press. Stern, N (2008), “The economics of climate change”, American Economic Review: Papers & Proceedings 98(2): 1–37. Stone, R (2007), “A world without corals?”, Science 316: 678–681. Ward, P D (2006), “Impact from the deep”, Scientific American 295: 64–71. Weart, S (2010), “The discovery of global warming”. Weitzman, M L (2009), “Additive damages, fat-tailed climate dynamics, and uncertain discounting”, Economics: The Open-Access, Open-Assessment E-Journal 3 (2009-39): 1–22. WWF (2014), Living Planet Report. 1. For overviews of recent climate change, see Stern (2006), Schneider (2008), Weart (2010), and the recent IPCC report (IPCC 2013). 2. See, for example, Arrhenius (1896) on CO2. 3. See, for example, Bellwood (2004) and Ruddiman (2005). Chunga et al. (2014) show that water vapour in the troposphere is increasing, and Keeling et al. (1995) document increasing levels of CO2 in the atmosphere. Hendry and Pretis (2013) establish the anthropogenic source of that increase, as do Ravishankara et al. (2009) for increasing levels of N2O. Methane is produced naturally, but also leaches from melting permafrost. 4. The data are from Rohde and Muller (2005), based on Sepkoski (2002), and do not represent all genera that have ever lived, but only a selection of marine genera that are easily preserved as fossils.